Members of our team visited the Sustainable Processing 2016 Conference in Cork last week. 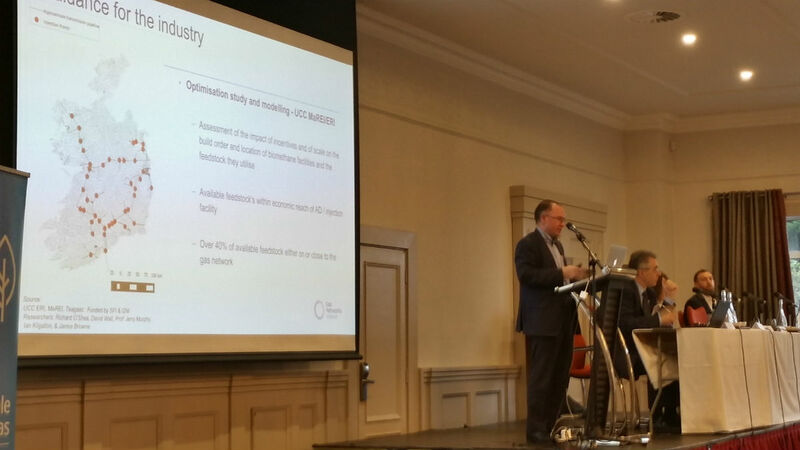 The conference focused on the number of distinctive strengths that Ireland has when it comes to Lean, Sustainable Manufacturing and how these strengths need to be protected and developed if Ireland is to continue to attract inward investment to the manufacturing sector. With our facility based in the heart of the countryside in the South East of Ireland, Mann Engineering is very aware of its responsibility to ensure that we do not impact on our surroundings in a negative fashion. One of our most successful Green initiatives has been the setting up of a rainwater harvesting system around our premises, which collects water that we use throughout our manufacturing process. We also recycle the coolant we use on our machines, by means of agitating the waste swarf after processing, which ensures dry swarf to our waste processors. Mann Engineering has also worked in collaboration with the Department of Science & Health in Carlow Institute of Technology, on a project to separate coolant and water from waste oil using aluminium oxide, which reduced the amount of waste oil having to specially disposed of. One of our directors is an owner of one of the 0.50% of electric vehicles been driven on our roads and there is now an electric car charging point on our premises. Where we can, as a company, we do what we can to reduce our overall carbon footprint. Amongst the speakers at the conference was Ian Kilgannon of Gas Networks Ireland who gave an enlightening overview of some of the advanced energy projects that they are spearheading throughout the country. One of the other speakers, Dr Ruth Appelbe of Indaver Ireland gave a very interesting talk on Waste to Energy. The new Indaver plant in Meath produces 19MW of electricity and only requires 2MW to run, meaning that the energy they produce from our waste has the ability to supply electricity to 22,000 homes. David O’Flynn of Dawn Meats Group, spoke about his companies work on bio-diversity projects and how Dawn Meats intends to become Europe’s most sustainable meat processing company. Looking ahead the manufacturing plant of the future will be one that generates its own electricity, either through Wind, Solar, Combined Heat & Power (CHP) or Waste to Energy including Biomass CHP. Some very interesting thoughts to take away from this conference.